Huge Victory for Rossi in Settlement with Industrial Heat / Tom Darden. Complete E-Cat License Agreement Canceled. I recently predicted that IH/Darden were allowed to keep some of the geographical markets for the Rossi E-Cat technology. I’m pleased to say I was wrong. Read this interesting interview by Mats Lewan. 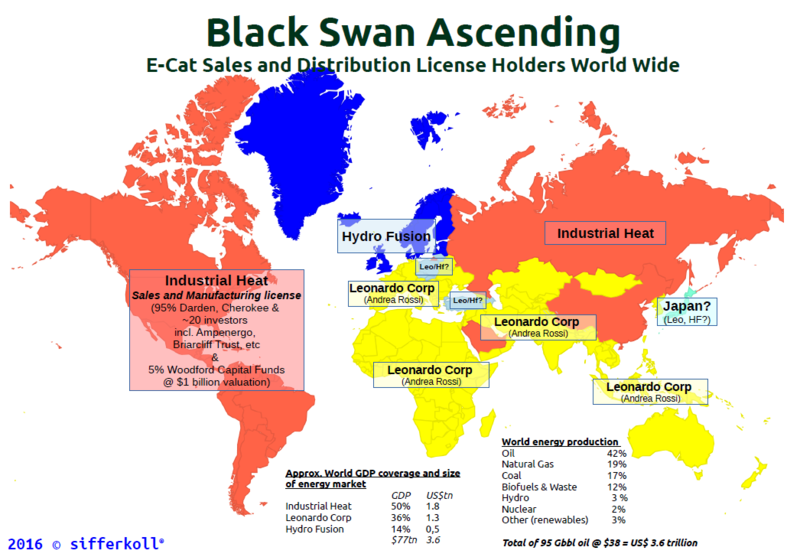 It now looks as if Leonardo and Hydro Fusion together more or less has the complete world market for the E-Cat technology. This is of course great news. Here is the old map of licensees. IH is now history and Rossi/Leonardo owns 100% of the technology. 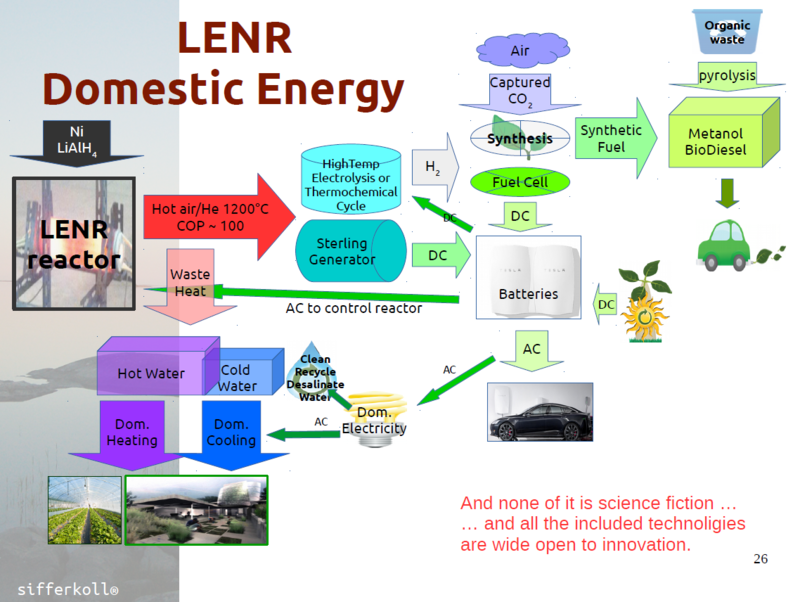 lenr-forum seem confused over why Darden settled. My theory is that Sifferkoll was the reason. A few days before the court was to restart, I read your article on Cherokee and Darden’s history of failed projects. The article disappeared (probably due to IH lawyers intervention) shortly afterwards. My understanding is that those revelations were present in Rossi attorney’s opening remarks to the court – with the clear implication that they were going to come out in detail during the trial. The reputational damage would have been extreme, and so the settlement followed. 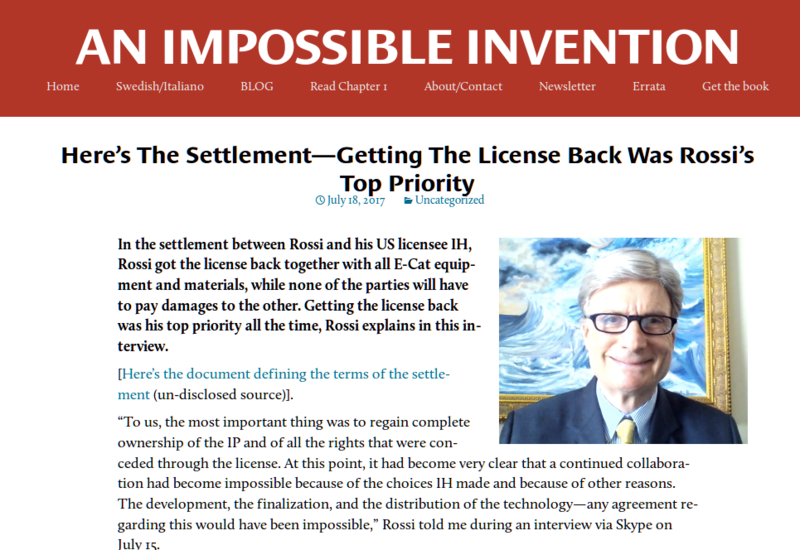 I am slightly surprised, and disappointed, that Rossi’s legal costs were not paid by IH.